This splendid volume looks into the life and times - and the recipes of - fourteen great chefs (from France, Italy, America and Britain) who, across six centuries, have raised Western civilization's culinary skills to the highest degree. Apart from such recent names as Escoffier and Fannie Farmer, there are those that have been largely forgotten, such as Taillevent, Scappi and Martino. 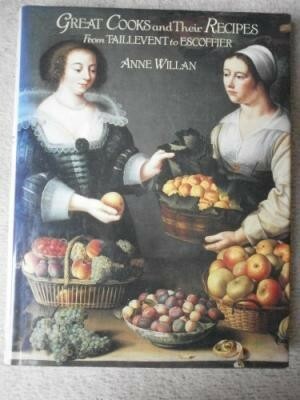 Anne Willan examines their backgrounds, techniques and innovations and there are some 100 recipes demonstrating the specialties of each cook.